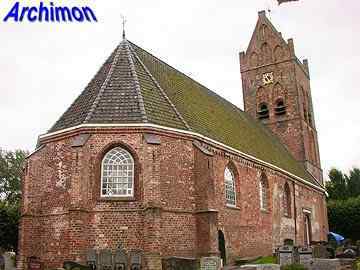 Goutum is a village bordering the city of Leeuwarden and has in fact virtually become a part of that city. 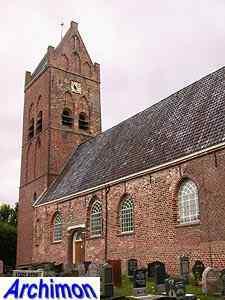 Yet it has largely maintained its village look. 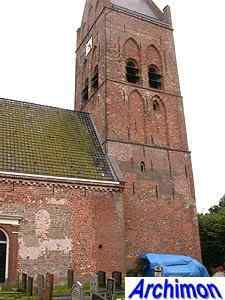 Like many churches in this province, the one in Goutum was built on an artifical hill, a terp. 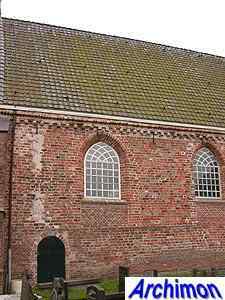 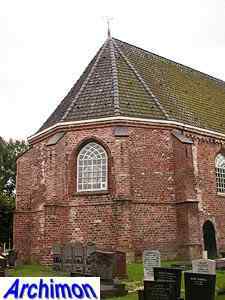 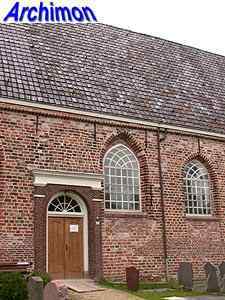 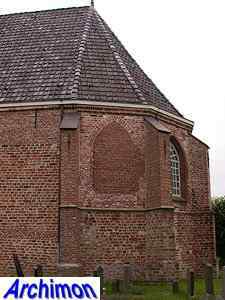 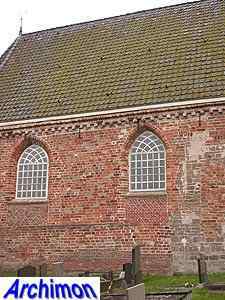 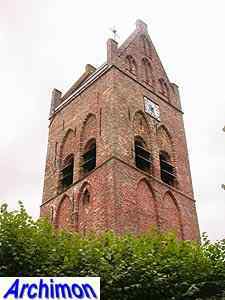 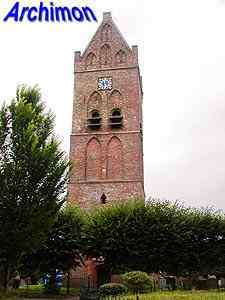 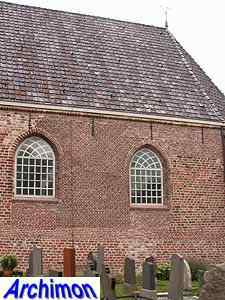 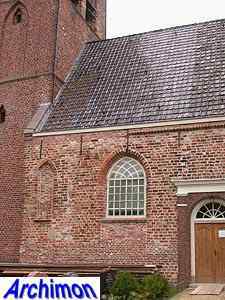 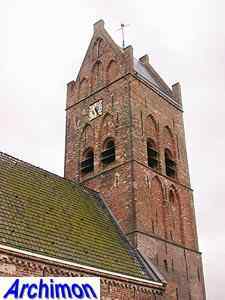 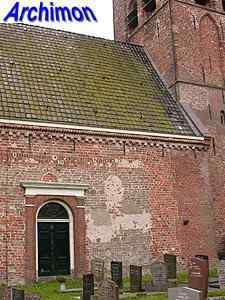 Its layout is typical for Fryslân too, a single-aisled building with traces of both Romanesque and Gothic, with a saddle-roof tower. 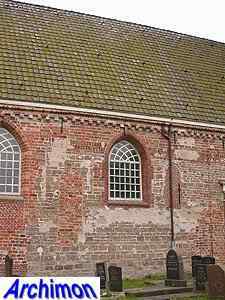 Of the original church built in 11th or 12th century tuff fragments remain in the north wall of the nave. 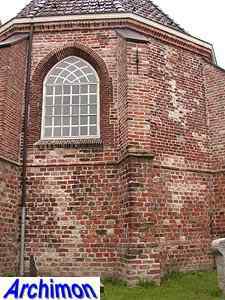 In the 15th century the church was rebuilt using brick, resulting in a new choir and a new south wall. 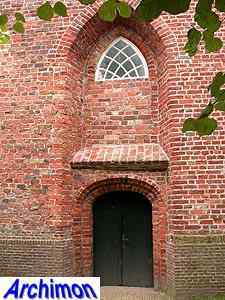 The large Gothic windows from this period were made smaller in the 19th century. 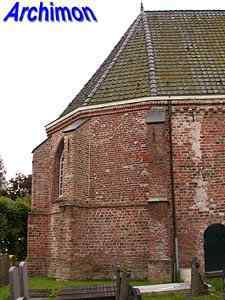 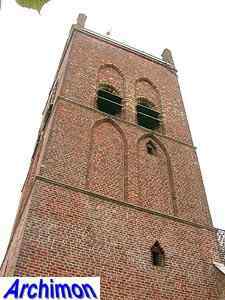 The tower dates from the 15th century as well and is made up of three square segments and a saddle-roof top.